Amazon wants to simplify procurement and increase its presence on social networks. The group has launched a new service associated with Twitter. Via a hashtag, it can order directly a product without having to leave the social network. Trends, influences and communication takes place mainly in social networks. Internet and especially on mobile media, these products want more advertising and business. Ideal to develop the image and reputation of professionals, it also increases their income. Amazon understands the advantages of social networking and wants to take this advantage. The group has introduced a new service associated with Twitter. Named #AmazonCart in the U.S. and #AmazonBasket in the UK, these hashtags allow making a purchase directly without having to leave the social network. When a user reads a tweet in which appointed a product sold on Amazon, by replying with the hashtag, he can find it later in his basket. 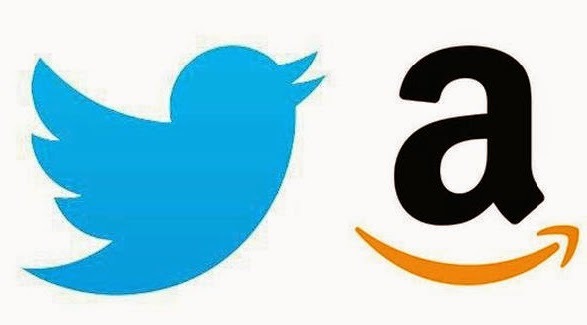 Only condition to take advantage, connect Amazon and Twitter accounts. The two companies did not detail the terms of this partnership. It seems, that Twitter will not receive a percentage of sales. Nothing is specified, either, about the potential launch of this service in other countries. The benefits of this agreement for Amazon seem obvious, but Twitter also removed its role for professionals is gaining importance while allowing users to stay connected. Will Stickney, spokesman for Twitter, said: "(we) know that discover products and services on Twitter is natural, and (we) look forward to make it all easier for our users." This new service will allow Amazon to collect a lot of information about the needs and tastes of consumers, but also the products that appeal more on Twitter.